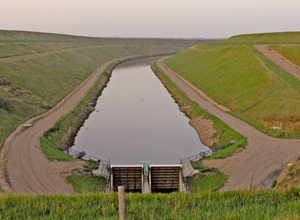 The McClusky Canal is authorized for the development of up to 23,700 acres for irrigation. 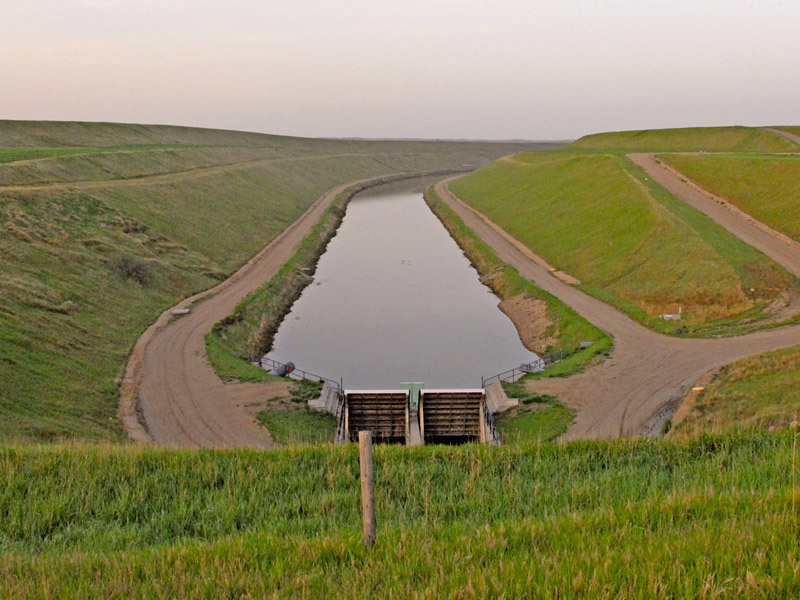 Presently, the 74-mile canal is underutilized for irrigation, and the State funding for the development of irrigation continues to go largely unused each biennium. As a result, the Garrison Diversion Conservancy District (GDCD) elected to engage AE2S to help plan for future irrigation growth through the development of a comprehensive irrigation master plan for the McClusky Canal area. The goal was to help the GDCD comprehensively plan for irrigation development for all 1,440 square miles along the canal by identifying and prioritizing potential irrigation projects and phasing, and to identify gaps or shortcomings that may preclude such orderly and practical irrigation development with respect to feasibility, logistics, and funding. Utilizing GIS, performing an Irrigable Acreage Analysis analyzing available soil types, slope, ownership data, and providing maps and figures to summarize existing irrigation infrastructure, irrigation potential based on prior analyses, and current irrigable acreage potential. This task also included data collection, land use analysis, surveying existing inventory, and mapping services. Further utilizing GIS, performing an irrigation feasibility analysis to analyze topography, elevation, overall distance from the canal source, interested landowner participants, and current electrical service infrastructure availability. These factors were reflected in project costs and summarized as targeted project zones most feasible for irrigation development and included additional key considerations such as irrigation technologies, hydraulic analyses, irrigation scheduling, and potential environmental impacts. Developing a master plan of the aforementioned project areas incorporating the results of the irrigation feasibility analysis with an additional financial analysis. This task included a comprehensive review of the latest North Dakota State University Farm-Level and Regional-Level Economic Analysis Reports, examination of the current funding and cost sharing options, outlining suggested options for potentially revising current funding framework, finance and rate analysis, agriculture production analyses, and additional funding development strategies. Included in this task was concept design and mapping representative target projects, prioritized capital improvements developed with concept plans and opinions of probable project costs, while also identifying any project shortcomings, limitations with electrical availability, recommended improvements, and logistics outlining key considerations moving forward in the development of irrigation along the McClusky Canal.